Amazon started as an online book store and today, it’s a leading retailer and cloud computing giant. What are the secrets behind Amazon’s success? Amazon’s product exec Kintan Brahmbhatt reveals the Amazon Way, including insights on Amazon’s approach to building products by working backwards from the customer. He leads product vision and execution for Amazon Music, including Prime Music and Amazon’s music experience on Echo and Alexa. Previously Kintan led product launches for IMDb, Amazon Video and Kindle. He is also an active angel investor and advisor to several startups. Everyone’s product career starts from a number of different paths. While there isn’t a straight line into product management, it’s not very often that you hear about an English PhD becoming a product manager. How can you apply skills learned in non-product backgrounds to build your career? Slack Product Lead Jaime DeLanghe discusses how to apply non-technical backgrounds to product management roles that put these skills to work. She will talk about building her resume on the job by leveraging her liberal arts background and growing new skills along the way. Companies struggle with the challenge of executing fast, building the right product and doing this without growing headcount. When you can enlist your customers as partners in the design process, you tap into insight and creativity capacity that increases your velocity and ensures you build what customers really need and are willing to pay for. Authentic Design Founder Surya Vanka will share a co-design platform that uses “swarm creativity” and a gamified co-design process to help companies succeed by designing with their customers. About The Speaker: Surya Vanka is the Founder and Chief Designer of Authentic Design - a firm that utilizes the “design swarms” theory to create unique product solutions for customers. Prior to starting Authentic Design, Surya worked for more than 15 years at Microsoft in many UX leadership roles - introducing the design thinking process to the company and pioneering the company’s first-ever Hackathon event. Prior to joining Microsoft, Surya was a design professor at the University of Illinois. Surya holds a degree from The Ohio State University and currently lives in Seattle. About the Speaker: Sushma Zoellner is a Senior Director of Product at HEB Digital - focused on building solutions that make it easy for millions of Texans to get the food and products they need on a daily basis. Prior to joining HEB, Sushma worked in the food tech space at Snap Kitchen, a healthy prepared food company. She also worked at small B2B startups and larger B2C companies like RetailMeNot. She also received her MBA and a BS in Computer Science from The University of Texas at Austin. The speed of product velocity is decisive in the success or failure of features, products and companies. But the strategies and tactics that build capacity for fast execution are poorly understood. In addition, they are rarely successfully implemented. How can you increase efficiency in your team without adding headcount?. Change.org Product VP Nick Allardice shares the successes and failures from that journey - focusing on the top strategies and tactics to unlock your team’s velocity. Nick Allardice is the VP of Product at Change.org - the world’s largest and fastest growing dedicated platform for people power and social change. Prior to joining Change.org, he founded Live Below the Line - an international online campaign that fights extreme poverty. He held leadership roles at Make Poverty History, The Oaktree Foundation and OzGREEN. Nick is an Australian who splits his time between New York and San Francisco. Speed-to-market is an ever-present pressure for businesses and for product management. However, product teams are often compelled to spend considerable resources on features that are necessary but not differentiating. How do you utilize platforms for acceleration that ultimately produce features that make an impact at scale? Salesforce Health Cloud Product VP Rita Sharma will present an approach that combines application and platform requirements to drive speed-to-market with compelling results. About the Speaker: Rita Sharma is a VP of Product at Salesforce - focusing on the company’s first health care product (Health Cloud). Prior to joining Salesforce, Rita was the Founder and CEO of FoundHealth.com - a consumer health website providing access to treatment solutions. In addition, Rita has held product/marketing positions at Lifescan and Handspring. Rita holds an MBA from UCLA and currently lives in Palo Alto, CA. Today’s retail powerhouses are all online - while brick and mortar stores are connected to retailers’ online experiences. However, differentiating and growing an e-commerce marketplace product is challenging - especially when faced with intense fast moving competition. What does it take to reposition an e-commerce marketplace for new growth? Shutterstock Product VP Chris Cosentino will tell the story of rebuilding and reigniting growth within Shutterstock’s digital image marketplace. About The Speaker: Chris Cosentino is a VP of Product Management at Shutterstock where he focuses on optimizing and building an e-commerce marketplace to enable creative professionals around the world to tell their stories. Prior to his time at Shutterstock Chris was a Group Product Manager at Etsy - focused on building a global payments platform for buyers and sellers and then leading overall growth. In previous roles, Chris also worked in enterprise software and finance. He received a degree from Boston College. To shine as a product manager, you need to have successful product launches over and over again with products that perform well in the market. That said, you need to reinvent yourself a little bit with every new launch. How do you go about enhancing your skillset to become stand out from the crowd? Fitbit fmr Software Product Head Yasi Baiani will share insights on how to continuously improve as a product manager and ultimately differentiate your ideas in order to get the funding and support needed to build successful products. About the Speaker: Yasi Baiani is the VP of Product at Halo Neuroscience - building new solutions to expand neurotechnology’s capabilities to a variety of fields. Prior to joining Halo Neuroscience, Yasi led the product team at Fitbit - introducing several new platforms and features to one of the fastest-growing wearable tech companies. In addition, Yasi is a visiting professor at the University of California Berkeley - where she teaches courses on product management. Yasi holds an MBA from Harvard University and currently lives in San Francisco. You can do product research at any scale - from multi-million dollar budgets to multi-dollar budgets (and anything in-between). When you set out to on a research project, how do you find out what your customers need and what they’re willing to pay for your product at every stage of the product lifecycle? Microsoft fmr Product Lead Anne Weiler will share research best practices from her 20+ year career in tech at startups, mid-sized established companies, and large-scale enterprises. As a bonus, Anne will share thoughts on how to enter product management from other disciplines and what skills make a good product manager. About The Speaker: Anne Weiler is CEO and co-founder of Wellpepper, a clinically-validated and award-winning platform for interactive treatment plans. She previously held global product management roles at Microsoft in new product development and emerging markets. She spent 3 years at Microsoft Russia leading the $300M Information Worker Business. Anne joined Microsoft in 2001 with the acquisition of a Canadian web content management company called Ncompass Labs. Anne holds a degree from the University of Waterloo and currently lives in Seattle. No matter where you work or what industry you’re in, there is one common question that is asked of product managers. That question is - "what's your strategy?" Whether at the corporate or product level, the purpose of "strategy" remains the same - it is the framework to guide a product or company to reach goals and realize its vision. RetailMeNot Product VP Art Okamoto will explain how he thinks about constructing a strategic framework that drives successful results for product organizations. About the Speaker: Art Okamoto is the former VP of Product at RetailMeNot, a leading savings destination connecting consumers with online and in-person retailers. Prior to joining RetailMeNot, Art worked at AliveCor, a company that is pioneering the creation of FDA-cleared machine learning techniques to enable proactive heart care. Art received in B.S. in Biochemistry from Cal Poly San Luis Obispo and a Ph.D. in molecular biology from University of California Irvine. Art currently lives in Austin. 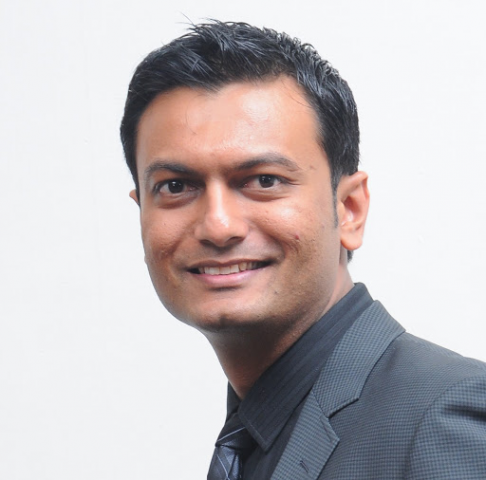 About the Speaker: Shalin Mantri is the Head of Product for Skip Scooters. Prior to joining Skip, Shalin worked at Uber’s Advanced Technologies Group (ATG), helping accelerate the development and testing of self-driving vehicles. Prior to ATG, he founded and led the team that built Uber’s experimentation platform from the ground up, as well as led Uber’s rider experience (i.e. the mobile apps you and millions of others have used to get around the city!). He established the product management rubric being used to calibrate and level all PMs at Uber. Shalin Mantri is a graduate of Stanford University where he earned a double major in Computer Science and Economics, and a masters in Management Science and Engineering. Building a highly-addictive experience is all the rage. But what do you do when your product solves a problem that consumers only face in rare circumstances? What are the best practices when your product isn't used daily, weekly, or monthly? Zillow fmr Product Lead Elissa Kline will speak about the lessons she’s learned to create impact with low-velocity products - from focusing on building trust with your customers’ first product interactions to establishing complementary use cases. In addition, she will talk about how leading companies find ways to build products that are more valuable and ubiquitous than the competition. About the Speaker: Elissa Kline is the Head of Product at Point, an early-stage real-estate FinTech company. Point is building a marketplace to enable homeowners to diversify their wealth by selling some of the equity in their homes without taking on additional debt. Prior to Point, Elissa was at Zillow where she oversaw the product roadmap for tools targeted at landlords and property managers. She is a director of the Cushing's Support & Research Foundation and was formerly a co-director of Cents Ability. Elissa holds a BA from Harvard College and an MBA from the Tuck School of Business at Dartmouth. Speaker Bio: Keith Cowing is the VP of Product Management at Flatiron Health, where he builds products to help cancer patients live longer and healthier lives. He is also a career advisor at keithoncareers.com. Prior to joining Flatiron, Keith was the founder and CEO of Seamless Receipts (acquired by Sailthru) and a product manager at Twitter and LinkedIn. He received an MBA in entrepreneurship and a bachelor of science in electrical and computer engineering from Cornell University. Session Description: Trust is your fuel for success. But how do you build trust with customers so they buy and recommend your product? How do you convince investors to fund your idea? How do you get cancer doctors to trust your software in life and death situations? Flatiron Health Product VP Keith Cowing will answer these questions and more as he walks through his experience in building products, building companies, and building trust with demanding customers. Brand new products are built under great blue skies of possibility. It is much simpler to build a great product from the ground up than it is to inherit an in-market product with a long history and turn it around. Given our desire to innovate and move forward, how to do you work with members of your team who are used to “the way things have always been?” Most importantly, how do you connect with customers who feel the same way? TechCrunch Product Lead Nicole Wilke talks about the advantages of working on legacy products and review strategies that can drive them forward without having an existential crisis. About the Speaker: Nicole Wilke is the Head of Product at TechCrunch - where she leads the company's product, design, and engineering efforts. In addition to her work at TechCrunch, Nicole has overseen high profile products at Disney Interactive and Wired. She has also held roles as a management consultant and as a product designer. Speaker Bio: Noah Kraft is the former co-founder and CEO of Doppler Labs - which developed the first in-ear computer that harnessed the power of voice-driven commands and audio technology. Named as a Forbes 30 under 30 honoree in 2017, Noah led an 80-person team across all product functions at Doppler Labs. Earlier in Noah’s career, he worked for a number of startups in the tech and music industries in New York City. Session Description: In addition to innovations in mobile tech, the wearable revolution is completely changing how customers utilize products and interact with technology. Specifically, audible cues and commands from in-ear products have introduced a whole new level of interactivity and engagement. What factors led to the development of the products built for your ears and how do they become a reality? Doppler Labs fmr CEO Noah Kraft talks about how and why his team attempted to build the first in-ear computer - and examine the challenges that startups face in shipping software-enabled hardware. Just as mobile design has become essential for modern products, voice interaction design represents the next frontier in product design. By 2021, more than 1.8 billion people will be using digital voice assistants. As product managers, how can you integrate digital voice commands into your product ecosystem? Headspace Product VP Randhir Vieira talks about the the challenges and opportunities that digital voice technology presents - from reimagining your product design process to revolutionizing the ways in which customers interact with your product. About the Speaker: Randhir Vieira is the VP of Product at Headspace - leading the product team to achieve the organization’s mission of improving health and happiness around the world. Prior to Headspace, Randhir was the Chief Customer Officer at Mindflash, a leading cloud-based Learning Management System. He was also the VP of Product and Customer Care at Eyefi - and Senior Product Director at Yahoo. Over the long-term, voice-driven products could be more disruptive than mobile products. As a result, how do product and design approaches need to evolve and adapt to make way for digital voice innovation? Alexa fmr Product UX lead Phillip Hunter will break down the anatomy of interactive voice products - outlining the opportunity landscape and how to be successful with voice-driven products. In addition, Phillip will cover strategic approaches to voice-driven products across development stages - including design, prototyping, evaluation and iteration. About The Speaker: Phillip Hunter is the VP of Product at Pulse Labs - creating user experience solutions for voice-driven products. Prior to joining Pulse Labs, Phillip led the user experience team for Alexa at Amazon. In addition, Phillip managed user experience team for Amazon Web Services. Before his career at Amazon, Phillip worked on design teams at Microsoft’s application services group - including Bing, Office and Skype. - Cookie decoration contest on Instagram - with super cool prizes!! Before you bring a new product to market, it’s important to create a solid foundation through effective planning. In order to get things started, it’s important to pause and think - am I asking the right questions? Most importantly, are these questions framed around building long-term success? Crossing The Chasm Guru Michael Eckhardt will discuss Planning For Launch - sharing the three most important questions that product teams must answer before launching the next big thing. In addition, every attendee will receive a copy of Chasm’s latest book “Crossing The Chasm 3.0” - featuring success stories from the newest stars in the tech world. Speaker Bio: Michael Eckhardt is a Managing Director at Chasm Institute - providing tech companies with tools and resources to advance their business goals. For over 15 years, Michael has worked with hundreds of tech companies to accelerate target market results and scale profitable revenue growth. In addition, Michael leads workshops for tech executives and their teams to develop product/market strategy - including Adobe, Spotify, Autodesk and Nest. About the Speaker: Mike Maples Jr. is a Partner at Floodgate - a venture capital firm based in Silicon Valley. Featured on the Forbes Midas List since 2010 and was named one of “8 Rising Stars” by Fortune Magazine, Mike is an investment guru with years of experience in finding the next big thing in tech. Before becoming a full-time investor, Mike was involved as a founder and operating executive at back-to-back startup IPOs - including Tivoli Systems (acquired by IBM) and Motive (acquired by Alcatel-Lucent). Mike holds a BS from Stanford University and an MBA from Harvard Business School. In his free time, Mike enjoys the world of cinematography and is a fan of sporting clays. Customer interactions with technology are more connected to the human touch than ever before. With the increasing use of wearables and gesture commands, how can you effectively use technology to provide customers with a personalized experience? Join Nordstrom SVP Brian Gill for a discussion on the importance of customer experience. Brian will share his experience in applying a personal touch to technology strategy in order to connect with more customers. About The Speaker: Brian Gill is the SVP of Technology at Nordstrom, focused on strategic planning and digital platform development. In addition, Brian’s team manages store technology and operational excellence initiatives. With more than 20 years of experience, Brian also served as Chief Technology Officer at Hotwire, Inc., an operating company of Expedia, Inc. In this role, Brian managed Hotwire’s platform technologies and the company’s data science team. Products That Count is one of the largest communities of product managers, leaders and founders in the world. It provides insider access to founders and C-level execs such as Netflix Product VP, Crossing the Chasm legendary author, Trulia Founder, or Lyft CMO, via speaker series, podcasts, and invite-only executive retreats. Partners include WeChat, Yelp, LeanPlum, Pragmatic Marketing, and StartupDigest. Its venture arm, Mighty Capital, invests in companies building products that count once they have demonstrated product/market fit. More at ProductsThatCount.com.